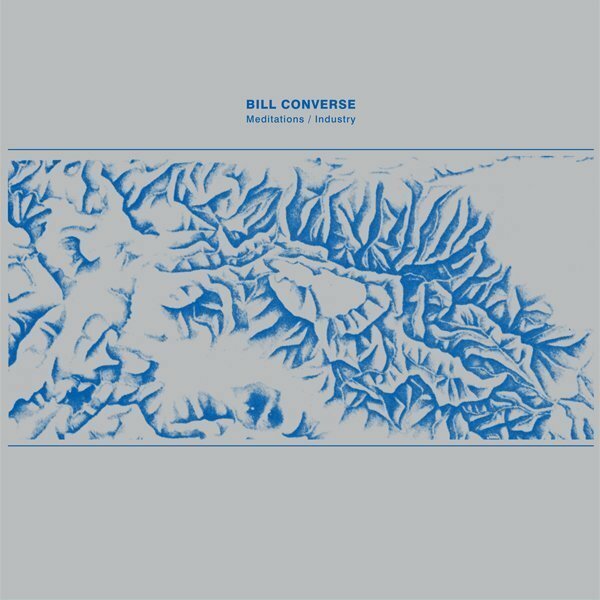 “Meditations/Industry” is Converse's debut vinyl release, collecting material from a cassette release on Obsolete Future. The tracks were recorded to tape with no overdubs in 2012-2013. 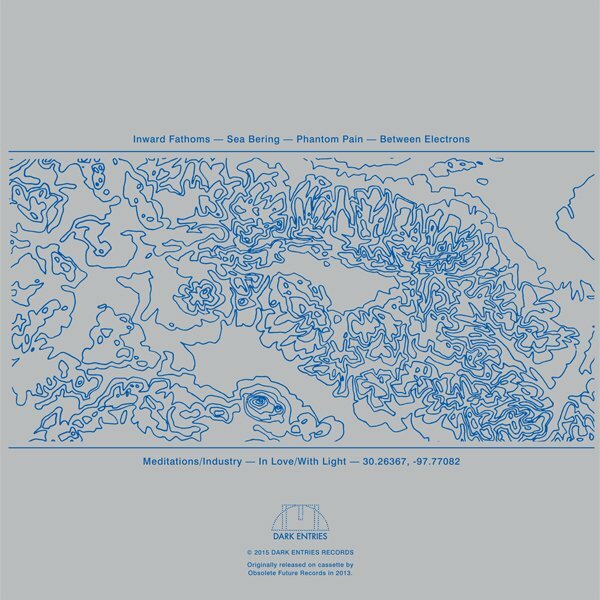 As the title implies, the album places meditation inside tactile sonic processes. Bill is informed by his surroundings, influenced by scenes of desolation in nature, the sea, the desert, and places of industry, like power stations, old factories, and warehouses. 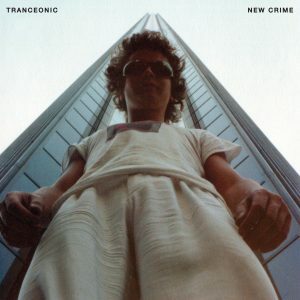 The songs on this full length reveal a sublime influence from Detroit techno, early Chicago house, and Acid. The album was recorded and mixed by Bill at his home studio in Austin and mastered by Dave Alex. All songs were EQed for vinyl by George Horn at Fantasy Studios in Berkeley. A custom-made jacket designed by our in-house designer Eloise Leigh incorporates the abstract cobalt glaciers, reminiscent of blueprints, over a dark gray background. Each copy includes a postcard with notes and a photograph of a mountain range that looks like ocean waves.